Features: Heated front seats & steering wheel, 7.0" Touch-screen with Android Auto/Apple CarPlay and more. Includes Base features plus: 1.6L Turbo engine, power sunroof, LED headlights and more. Includes Turbo features plus: Navigation, Leather seats, Head-up Display, Wireless Charging and more. Includes Turbo features plus: Aluminum-alloy wheels, Michelin Pilot summer-performance tires and more. Includes Turbo Tech features plus: Aluminum-alloy wheels, Michelin Pilot summer-performance tires and more. 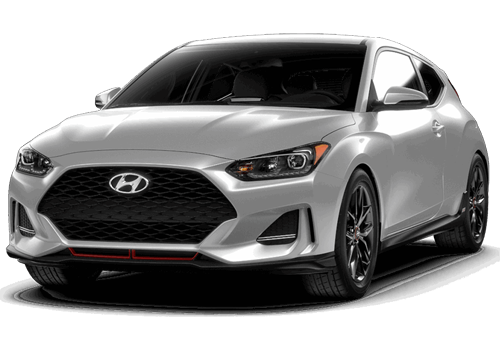 Live loud in the all-new Veloster. 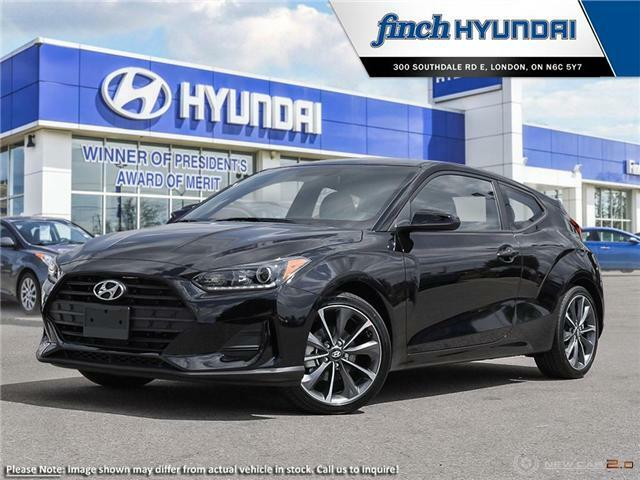 Cutting-edge exterior and interior design, the choice between two engine options, and an array of new technology and connectivity features are what make this sports coupe such an exciting driving experience. 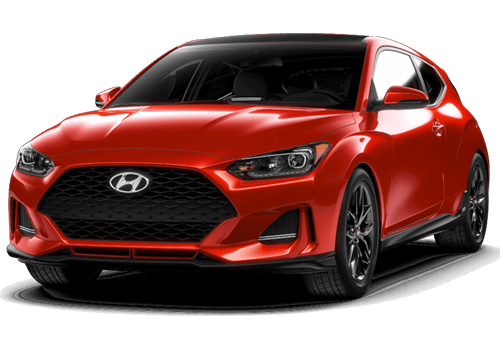 Designed to break loose from the pack, the asymmetrical 3-door design of the Veloster differentiates it from any vehicle on the road. The one-of-a-kind style features a wide cascading grille, standard 18" alloy wheels and a centre exhaust. Available LED headlights emit a strong, focused beam of white light that greatly increases nighttime visibility. LED accents run along the outer edges to accentuate the sculpted bodylines. 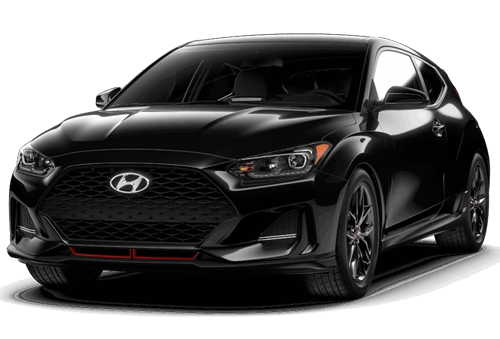 Whether you choose the 2.0L or the 1.6L Turbocharged engine, you’re going to feel what sets the Veloster apart. A sophisticated, standard multi-link rear suspension system elevates on road driving dynamics and feel. 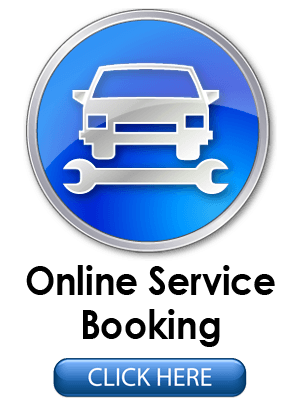 Turbo models are also outfitted with a sport-tuned suspension for outstanding ride and handling through the curves. An exciting drive begins in the driver’s seat. 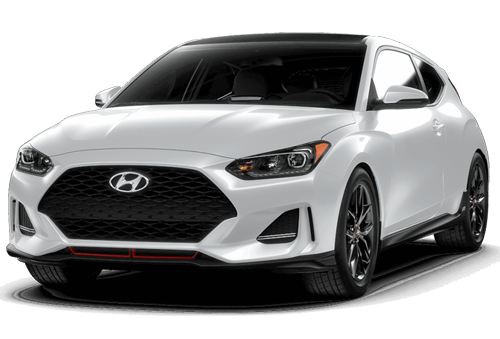 Continuing its asymmetrical design into the cabin, the Veloster looks just as good from the inside. A driver-focused interior layout features contrasting finishes in the driver’s seat area, and the centre console is strategically placed for optimal access. Seamless connectivity and advanced technology at your fingertips. Standard Apple CarPlay™ and Android Auto™ let you interact with your favourite apps, access navigation, use voice command for text messages, or stream your favourite songs through the available Infinity® sound system. An available 8.0" touch-screen provides added convenience with a built-in navigation system, so you don’t have to use your cellular data when needing directions. 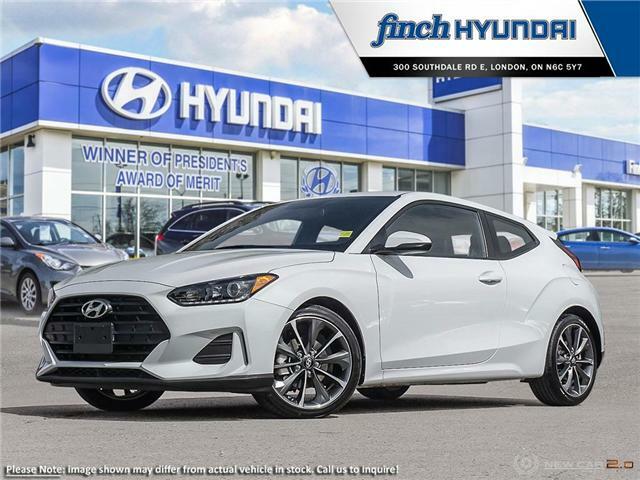 The 2019 Veloster features an ultra-rigid vehicle chassis at its core, which we call the SUPERSTRUCTURE™. Built with our very own Advanced High Strength Steel, which is designed to be stronger, stiffer and lighter than conventional steel, the SUPERSTRUCTURE™ provides greater benefits in safety, ride comfort, handling and fuel economy. In the event of a collision, the SUPERSTRUCTURE™ helps protect occupants inside the cabin by absorbing harmful energy and redirecting it away from the passenger compartment. 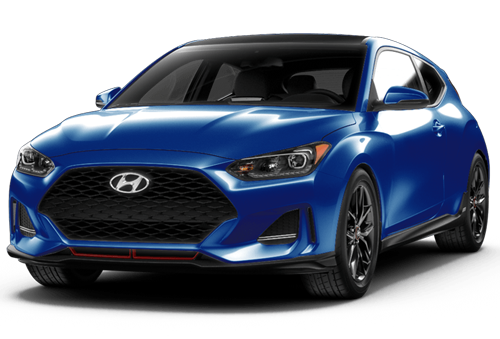 Whether you choose the 2.0L or the 1.6L Turbocharged engine, you’re going to feel what sets the Veloster apart. A sophisticated, standard multi-link rear suspension system elevates on-road driving dynamics and feel. Turbo models are also outfitted with a sport-tuned suspension for outstanding ride and handling through the curves.